Seal Beach’s Old Town Chili Cook-off is back for its sixth year with 17 participating contestants as of Monday. 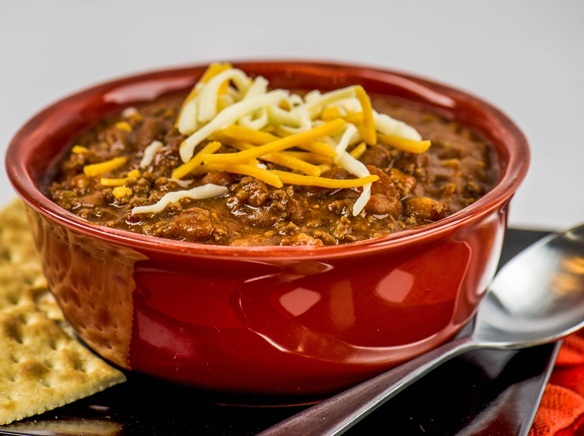 The chili cookoff, Devour, will be held on Feb. 2 from 2 to 5 p.m., at participating restaurants on Main Street. Participants include: 320 Main, Kai To Shushi, Thai on Main, Avila’s El Ranchito, Glory Days, Bistro St. Germain, Walt’s Wharf, O’Malley’s on Main, Clancy’s, The Hangout, The Irisher, Beachwood B-B-Q, Crema Café, Seal Beach Grill, Taco Surf, The Still Life Tattoo and defending champion, The Abbey. At your leisure you can visit each participating restaurant stopping to grab a beverage or two as well. Tasters will then return to Hennessy’s Grill, at 143 Main St., no later than 4:30 p.m. for the awards ceremony where the passport holders will vote for their favorite chili, People’s Choice. Participants also will be voted on by a panel of judges to crown the Best Chili of the Year and display the Devour trophy in their establishment for the next 12 months. Proceeds will enable, “Be The Good,” to continue spreading good will within the community, serve at The Ronald McDonald House and Veterans Affairs Hospital in Long Beach. For more information, contact Rosie Ritchie at 562-810-0078. Previous articleWhat’s New at 2nd and PCH In Long Beach?